Here is the simplest treat you can ever make for your family and friends. They look amazing. Both adults and kids love these, and they are not that bad for you, I think, anyway. They are great at parties. They are great after dinner, as a light dessert. They are great as an after school snack. They are great as a cake decoration. They are simply put just great. 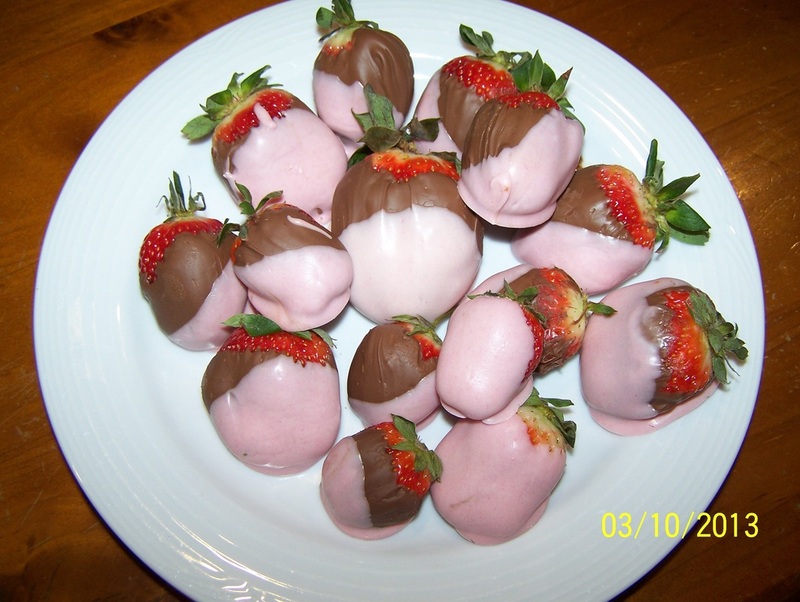 I have written the recipe for the chocolate strawberries pictured above, but as you can see in the photos below, changing the type of chocolate, changing how you dip the strawberries into the chocolate gives you many different ways to present these strawberries. 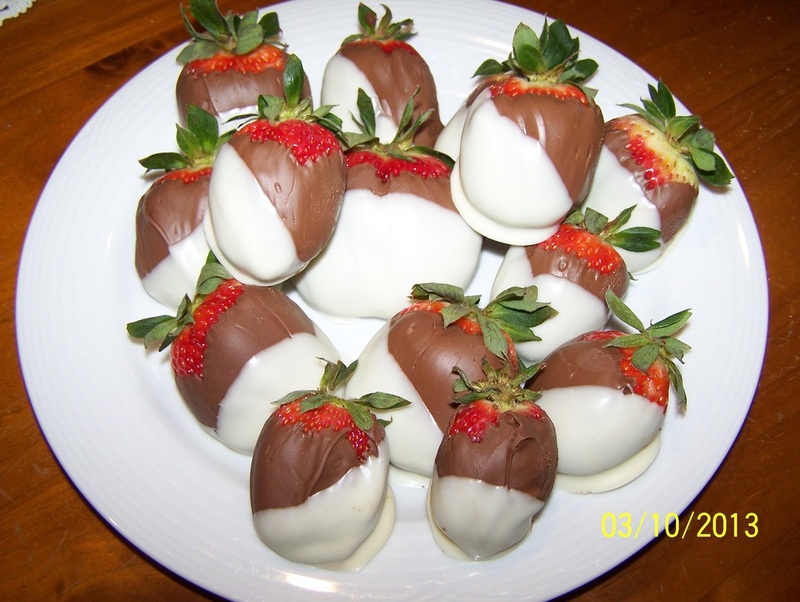 Have fun with making chocolate strawberries, it is great how something so easy can taste so good. Place the chocolate in a small heatproof bowl, only large enough to fit the chocolate in (the larger the bowl, the harder it is to dip the chocolate in). Place the bowl over a pan of simmering water, do not allow the chocolate bowl to touch the water. Stir the chocolate until melted and smooth. Allow to cool slightly, while preparing the strawberries. Wash and pat dry with paper towel the strawberries. Dip in the strawberries completely up to leaves, leave a little of the strawberry visible. Let excess chocolate drip off, then place on the prepared baking tray to set. You can place them in the refrigerator to set quicker if needed. Once set, in the chocolate that was left over, add a few drops of pink food colouring, you want to be able to see the pink colour against the white chocolate, you will need to remelt the chocolate, add some more chocolate if needed. Dip the strawberries into the pink chocolate but only half way up, you want to be able to see the white chocolate, allow the excess to drip off. 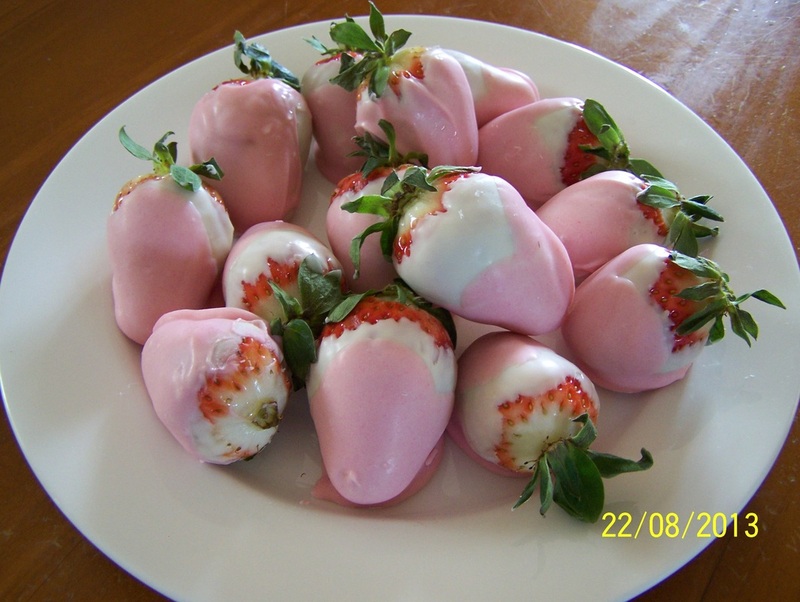 It is nice when the strawberries are different, so dip each strawberry to different heights, or at different angles. Place back on your baking tray, allow to set in or out of the refrigerator. 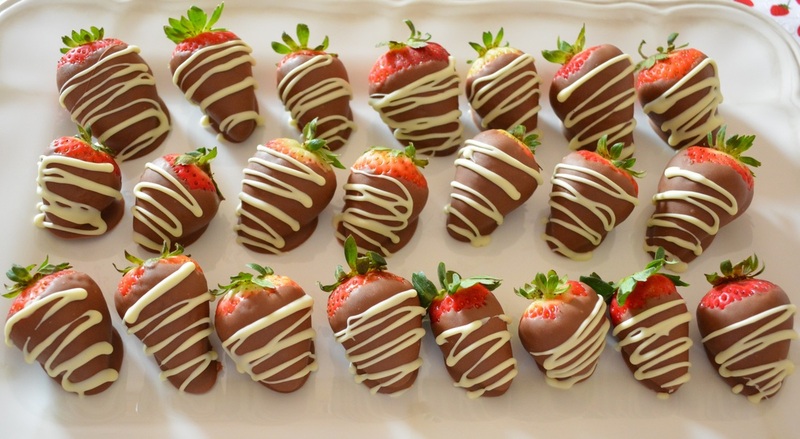 For a different look dip the strawberries into 150g melted dark or milk chocolate, then dip them into 100g melted white chocolate. 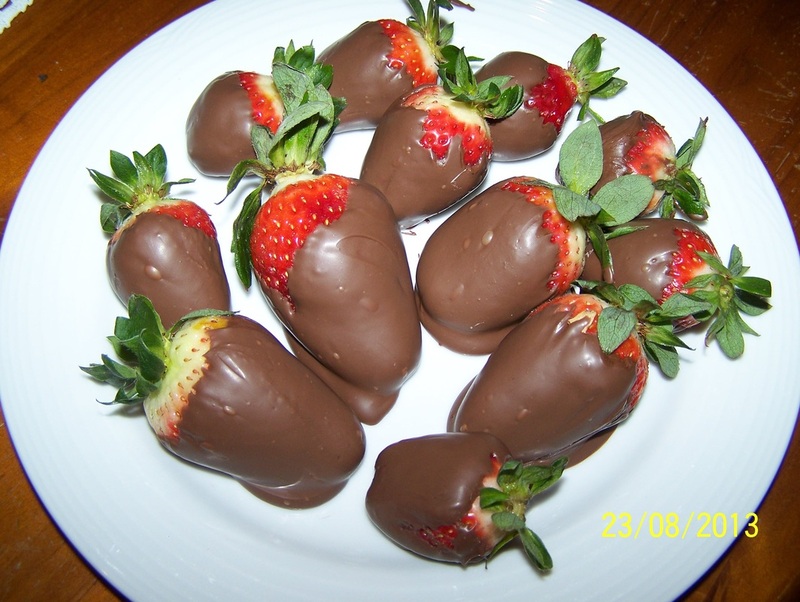 Or you can place some melted chocolate into a piping bag and drizzle some chocolate over the strawberries.